Not known to many even for myself, there is actually a Chinese restaurant in Singapore Polytechnic Graduates' Guild (SPGG) that is open to the public. The Restaurant, ironically that is the name of the restaurant offers zi char dishes in a air conditioned restaurant setting. 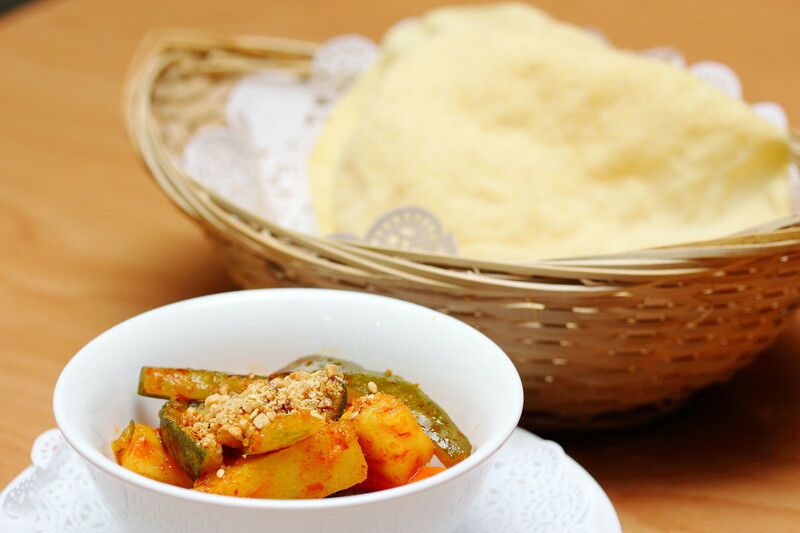 Upon being seated, we are served complimentary Achar and Papadum. I thought it was quite a interesting combination. I have never seen such combination being served elsewhere especially the papadum since it is a Chinese restaurant. 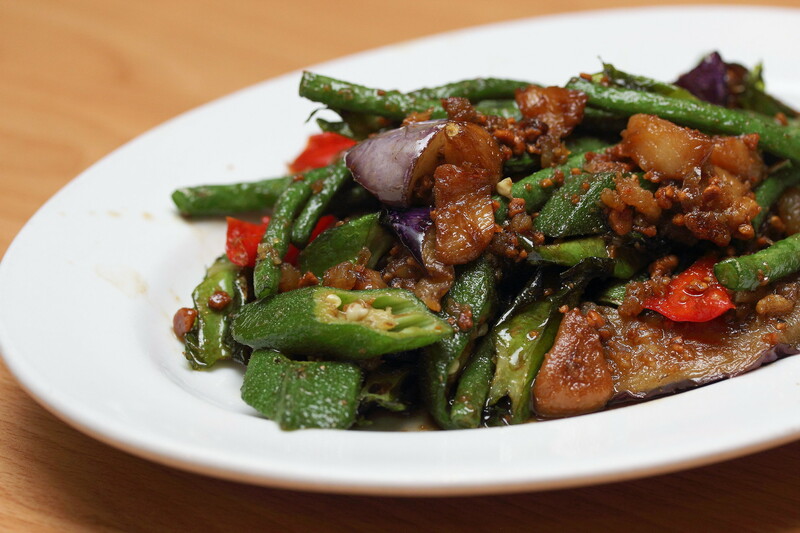 Stir Fried to fragrant is the Four Seasons Vegetables ($8.50) consisting of the long beans, lady fingers, winged beans and egg plants. 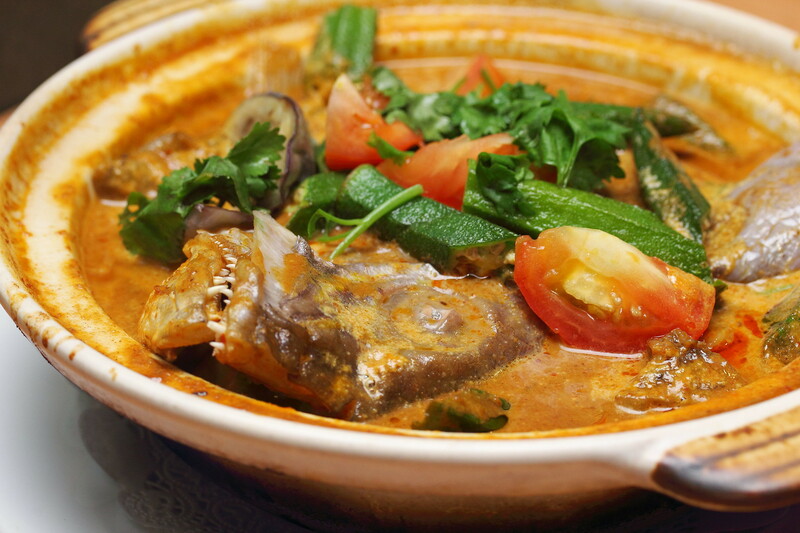 A very homely dish with the spicy dried shrimp (hae bee) and garlic playing their role in the dish excellently and enhancing the flavours. 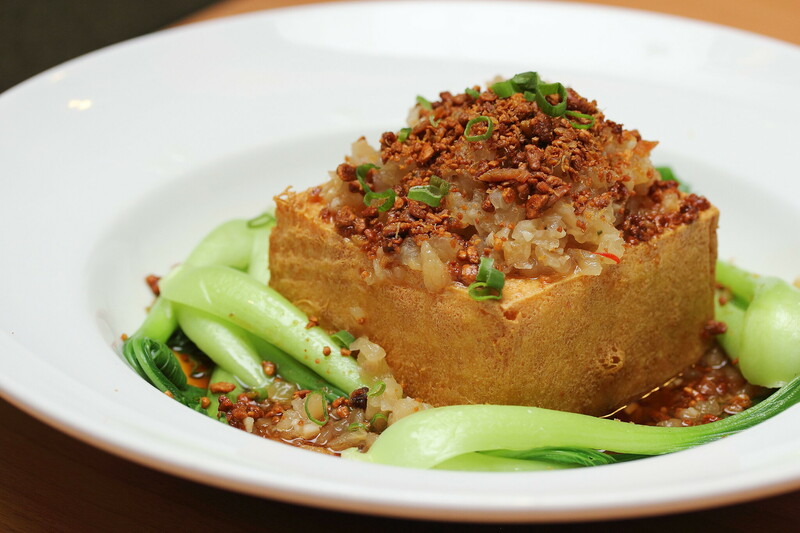 The Deep Fried Beancurd with Chye Poh and Yellow Bean Crumb ($9.50) did impress me with its silky texture. My wife especially likes the thin crispy layer on the outside. Beancurd is usually quite bland so I actually applauded the idea of using chye poh and the light soy sauce to boast the flavour. A hearty dish that I enjoyed a lot. 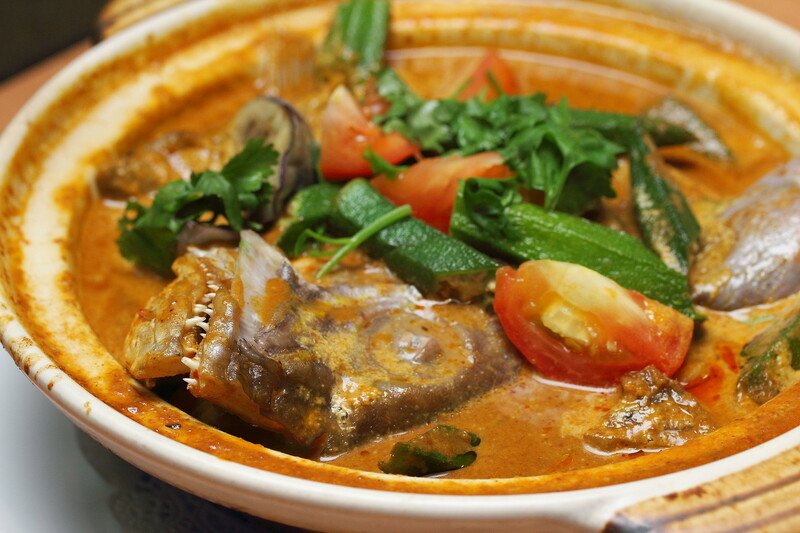 I am a big fan for fish head curry and so when I saw the Assam Curry Fish Head ($31.80) on the menu, I knew I need to order it. Lucky I was not disappointed. The spices packed aromatic gravy was a winner for me with chunky cuts of lady fingers and egg plants. 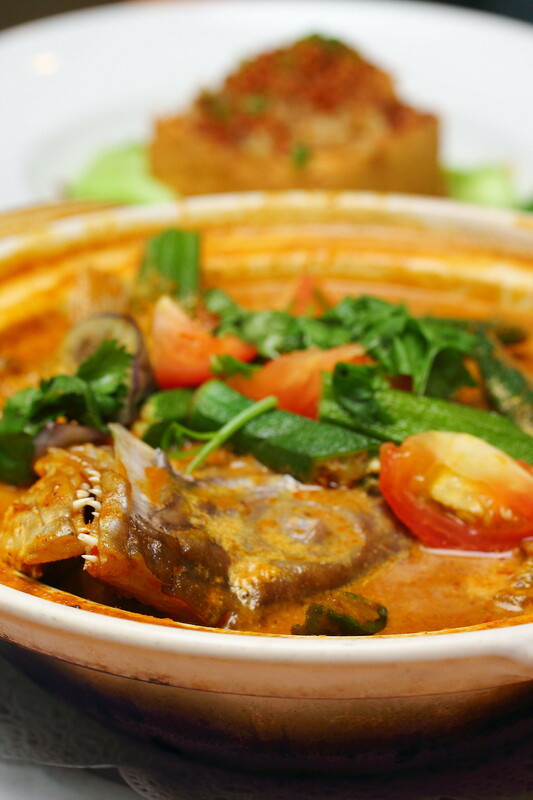 Definitely one of the better assam curry fish head I have eaten. During my dinner time visit on a Sunday evening, I noticed the restaurant was quite packed and busy with families. I would probably come back again to try the other dishes on the menu. Meanwhile if you plan to check out the place, I would recommend the assam curry fish head and deep fried beancurd with chye poh and yellow bean crumb. You stay in the west too?